Left Ventricular Hypertrophy in Pediatric Hypertension. When damage is at sight. This is an excerpt of a publication of mine sent to a peer review journal by me to be published. Those topics are not mentioned in Woroniecki and colleagues’ article (1) and might be key to increase consistency to the assessment of the HTN related cardiac organ damage in children and adolescents. 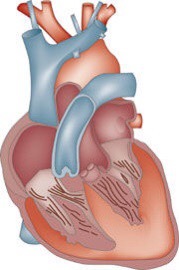 In short, the issue of LVH in pediatric populations remains challenging. The solution will lie on in undertaking large multinational studies in an attempt to find out a more reliable and matching approach to determine the cardiac organ damage that HTN entails in children and adolescents. 2- Lurbe E, Agabiti-Rosei E, Cruickshank J, Dominiczak A, Erdine S, Hirth A, et al. 2016 European Society of Hypertension guidelines for the management of high blood pressure in children and adolescents. J Am Soc Hypert (2016); vol: 34 (10) pp: 1887-1920. 3- Sethna CB, Leisman DE. Left Ventricular Hypertrophy in Children with Hypertension: in Search of a Definition. Curr Hypertens Rep (2016) Aug;18(8):65. doi: 10.1007/s11906-016-0672-3. 4- Agu NC, McNiece Redwine K, Bell C, Garcia KM, Martin DS, Poffenbarger TS, et al. Detection of early diastolic alterations by tissue Doppler imaging in untreated childhood-onset essential hypertension. J Am Soc Hypertens (2014);8(5):303–11. Available from: http://www.ncbi.nlm.nih.gov/pubmed/24685005. 5- Perez Fernandez GA, Grau Avalo R. Hypertensive heart disease in adolescence. preliminary results of the PESESCAD-HTA study. Hipertens y Riesgo Vasc (2012) ;29(3):75–85. Previous Previous post: Escoge a los progenitores “sabiamente” y no serás hipertenso. ¿De quién es la culpa? Next Next post: Red Bull beverage and high blood pressure in adolescents. Watch out ¡¡¡¡¡.